The year 2017 was the second warmest year since the start of measurements around 1880, and the warmest year without El Niño effect. Losses caused by extreme weather events broke all records. The overall losses due to natural catastrophes were estimated to be $330bn, of which $267bn (81%) was caused by meteorological catastrophies. 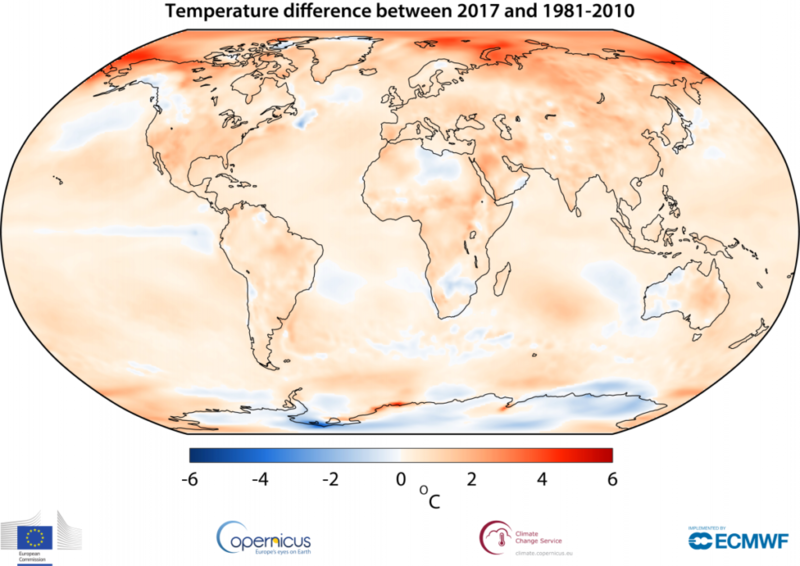 The climate analysis of the Copernicus Climate Change Service (C3S), see figure below, shows that the global average temperature of 2017 is 14.7°C. This is 1.2°C above pre-industrial reference temperature, and 0.5°C above the average of the years 1981-2010. 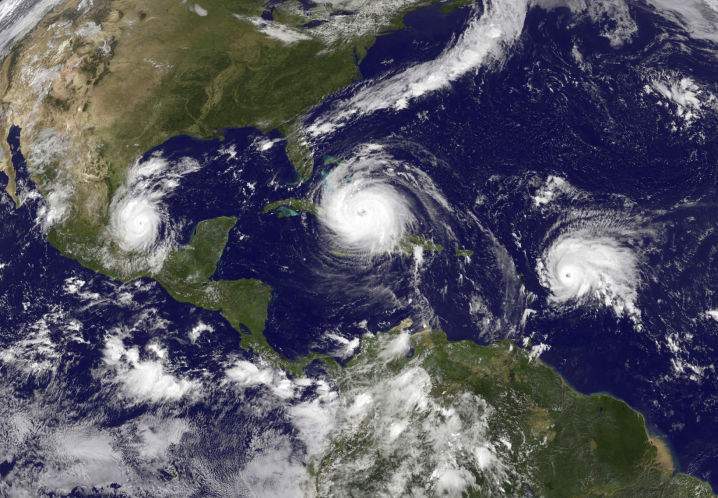 The hurricane season in the Atlantic was very active and set some remarkable records. Hurricane Harvey caused a record amount of precipitation above Texas. Irma was the hurricane with the worldwide longest episode of category 5. The hurricane Ophelia reached Europe and was the most eastern hurricane since the start of the satellite era. Other extremes on the list of 2017 are the summer heat wave and wildfires in Europe. Nepal, India and Bangladesh received such severe monsoon rains, that 2,700 people lost their lives due in floods. Drought continued in (parts of) East Africa and a landslide in Sierra Leone killed roughly 500 people. In Peru and Colombia, heavy rains caused landslides and floods resulting in hundreds of casualties. The weather-related losses of 2017 fit in a trend of increasing losses due to extreme weather. The last years weather again shows us the importance of studying the changing weather pattern and improving warning systems to limit the potential losses and human sorrow.